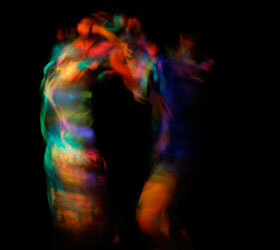 Painter, photographer and installation artist, Anna Reynolds exhibits Deaf Space from 4-7 June. Anna’s installation experiments with luminescence, the oceanic and the carnivalesque, and officially opens on Friday 6 June from 6pm. Anna is working towards a Bachelor of Visual Arts at CDU’s School of Creative Arts and Humanities. Venue: Darwin Visual Arts Association Wood Street Gallery, Frog Hollow Centre for the Arts, 56 Wood Street.